We have a large collection of stag heads for you to choose. 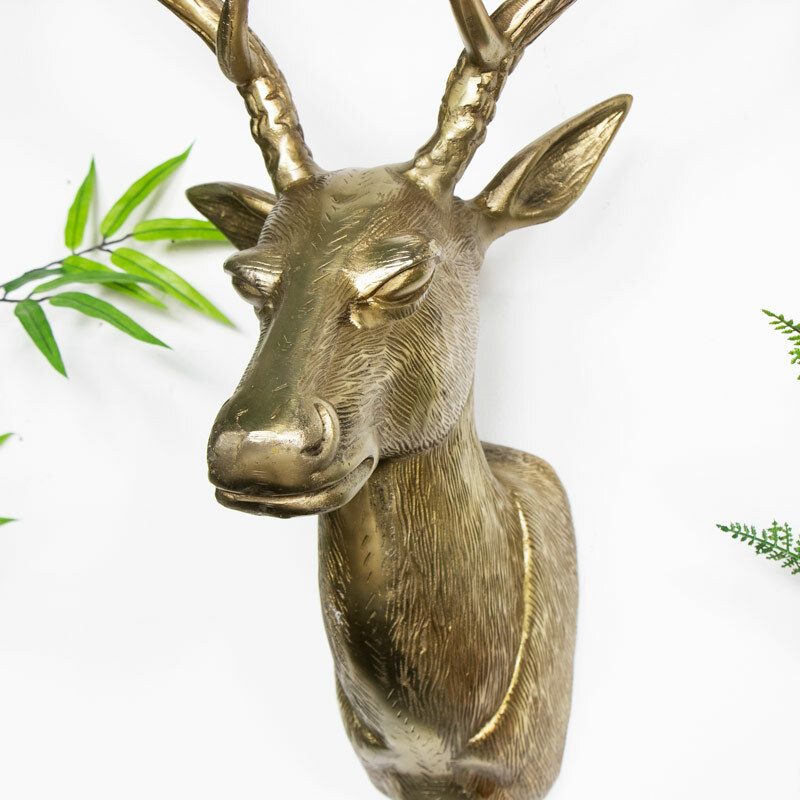 This stag head comes in a vintage gold colour and will easily stand out, perfect for displaying in the living room or hallway. Place above the mantelpiece or pride of place in the hallway. 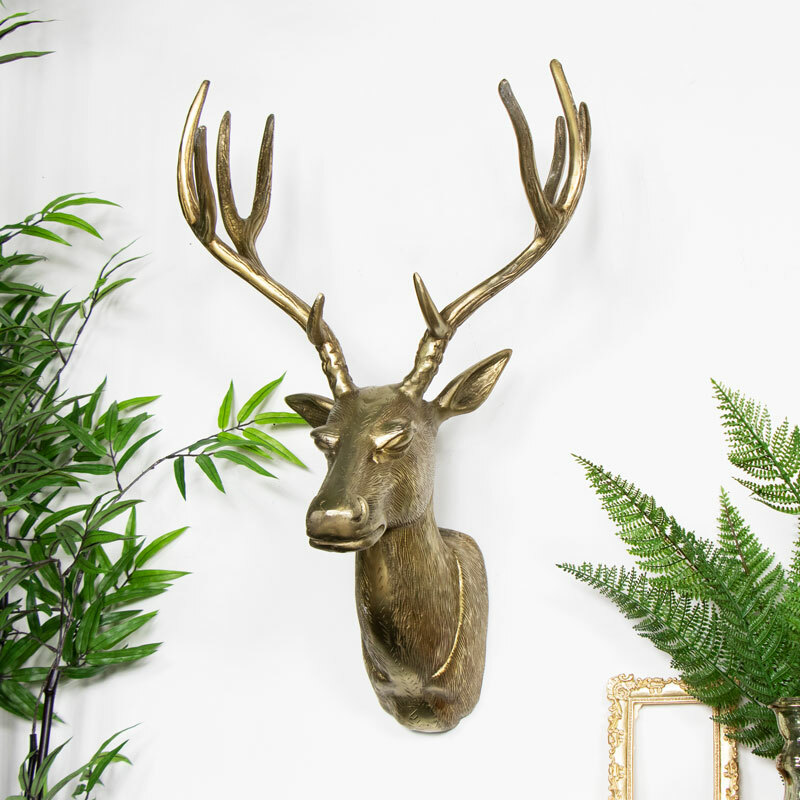 Delicately carved fur and majestic antlers with the slight aged gold appearance make this a proud looking stag that will look graceful and elegant on any wall. This would make a perfect addition for any interior, from rustic woodland and highlands to a shabby chic country cottage. We love stags as much as you do and we have a large range of Stag related decor.